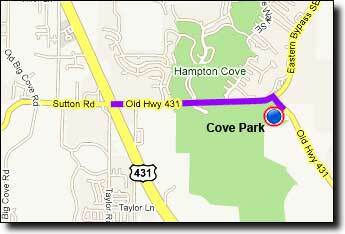 The Hurricane Creek Metric is 62 miles, starting and ending at the Cove Park ballfields near Hampton Cove. 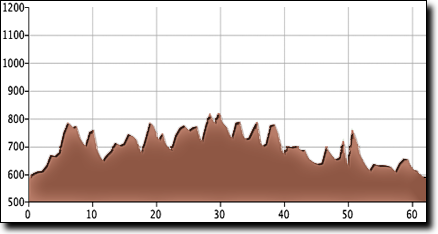 The route is mostly flat-to-rolling with no long climbs. It travels on good pavement thru some scenic farmland but to get there you'll have to pay attention; the route winds thru a couple of subdivisions and towns with a lot of turns. 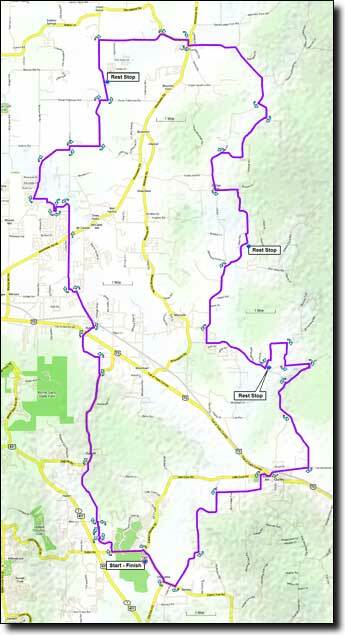 The Hurricane Creek 48 is a shorter version of this ride, starting from Madison County High School near Gurley. 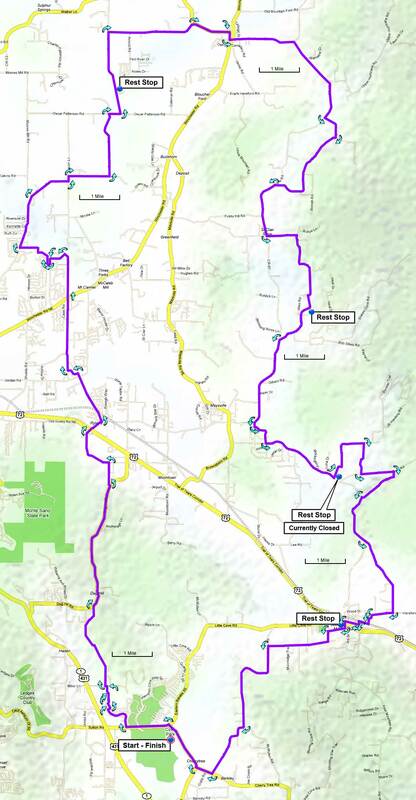 The similar 64 mile New Market BBQ Ride ride adds some roads to the north. The total elevation gain is 1,600', starting at 580' with a maximum elevation of 800'. If traveling over Monte Sano on Highway 431 (east on Governors Drive): go 4.8 miles after passing Monte Sano Boulevard and turn Left at Old 431/Sutton Road. Travel 1.6 miles and turn right onto Old 431. The ballfields are on the right. If traveling over Cecil Ashburn Drive: continue straight on Sutton Road for 0.7 miles and go straight across Highway 431. From the intersection go 1.6 miles and turn right onto Old 431. The ballfields are on the right.